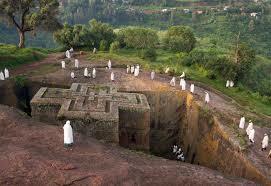 Welcome to southern Ethiopia! 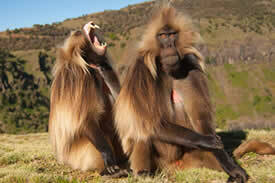 If you want a taste of Ethiopia’s numerous ethnicities and wildlife, this is the right tour for you. Arba Minch is the place to enjoy wildlife – in the Nech Sar National Park and Chamo Lake, including one of the most spectacular displays of big crocodiles and hippos in Africa. During the next stops in Jinka, Turmi and Konso, you will meet some of the most fascinating tribes in the country and become acquainted with their customs and traditions. Ride up close and personal with some of the wildlife and enjoy some great off-road tracks. Discounts are available for this tour! See Prices and Information. Arrival in Addis Ababa, Ethiopia. The tour will start with a cultural evening in one of the best restaurants of Addis. 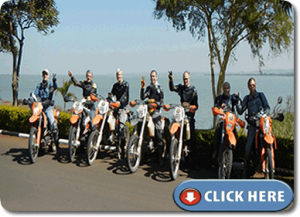 The perfect environment to meet your fellow motorcycle riders and enjoy delicious Ethiopian cuisine seasoned with very energetic Ethiopian dancing. The first 4 riding days will take us all the way to Turmi. Our main stop during this phase of the trip will be Arba Minch. Arba Mich (Forty Springs), takes its name, from the bubbling streams springing up and is right in the Rift Valley making it the perfect base to explore the region. We will Visit the villages of Dorze and Chencha going through stunning landscape; admire the beautiful cloth made in this area and the bamboo hats that lasts over 80 years. A boat trip in Lake Chamo, one of the biggest in the region is a must! You will be amazed by one of the most impressive displays of big crocodiles and hippos in Africa. 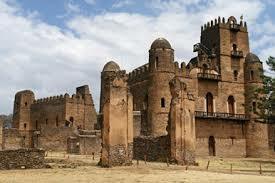 Visit one of the Konso walled villages and the King’s Palace where mummification is still practiced. Turmi will be our base to explore the area. Unless otherwise requested and agreed by the group participating in the tour, all our overnights in the region will be camping. Visit Lake Stephany which presents an awesome spectacle of blistering saline lake bed bounded in the distance by jagged mountains. Enjoy riding at full speed close to the wild animals. Visit the village of Dimeka. The market is not to be missed, with large numbers of Hamer people coming to buy, sell and exchange news. 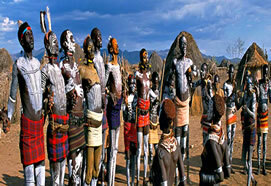 In Omorate where Omo Valley tribes like the Geleb will be seen. Geleb men sculpt and shave their hair into extravagant shapes, with special ochre ‘caps’ of hair usually containing several ostrich feather. Ride through Mago National Park famed for its wilderness filled with the larger wildlife species expected from the Africa Savannah and see the Karo tribe. Men are experts at painting using clays and locally available vegetable pigments to trace fantastic patterns on each other’s faces, chests, arms and legs. In the last riding day before departing to Addis we will overnight in Yirgalem in what is, in our opinion, the best eco-lodge in the country, hided inside untouched forest. What is included: • Airport collection and drop-off. • Restoration (dinner on the arrival day and lunch on the departure day; every other day breakfast, lunch and dinner). Beverages and snacks not included, excluding water in the car throughout the trip. 1 Activities described for each day may be changed depending on non-scheduled events such as the bull jumping ceremony from the Hammer and the Bana. • Returning clients and clients who book 3 months in advance have a 10% discount when booking directly with Africa Riding Adventures (offer is not cumulative). 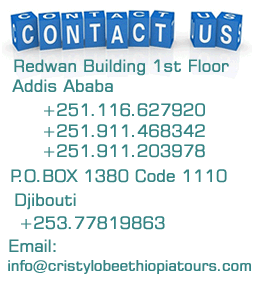 • At request Cristylobe Ethiopia Tours will refund the full amount of deposit paid if there isn’t a minimum number of 4 riders attending the tour. Pls read our terms and conditions for the full text of our policy. • Cristylobe Ethiopia Tours reserves the right to cancel this calendar tour if no bookings are made 30 days before the tour commencement. 2. Prices for passengers on support car may change if an additional car is needed to transport all passengers. 3. The single room surcharge will apply to the last rider booking for the tour when double occupancy is not possible.